 Romamirabilia › Reviews › Guided tours › Kurt S.
Julia, Thank you so much for the recent tours we took from you while on our Rome vacation. My family and I had a wonderful time on The Vatican and Roman Antiquity tours. You made learning and understanding about Rome’s history fun and exciting for our entire family. We were all impressed by you and your knowledge of Roman and Art History and it was so nice to have our own personal guide.